Asics didn't update much this year with the release of the Hyperspeed 4, so just about everything mentioned in my Asics Gel Hyperspeed 3 review still applies. According to the stats they added .1 oz of weight to the shoe, but I doubt your feet will notice. The Hyperspeed is still one of my top recommendations. 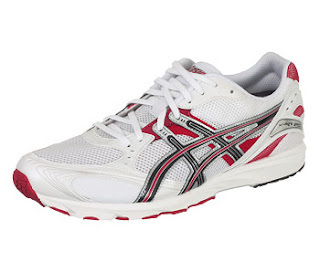 It has a little more cushioning than some of the most extreme flats out there like the even lighter Asics Piranha's, but it maintains a low heel to toe raise difference (just 5mm) and a very light weight at 7.2oz. It's also kept a rubberized bottom which I highly prefer over the hard tack surface a lot of flats use, and the lack of any rigid arch support keeps the entire length of the shoe very flexible. The biggest downside is still the odd pattern Asics chose for the bottom of the shoe which seems to be designed to pickup pebbles. Once they're broken in the gap gets a little smaller so you pickup fewer, and they're usually easy enough to kick out, but it's still annoying that they'd keep those pebble pockets around at all. Cons: It's a great midrange flat but if you're looking for pure speed (or hate ride-along rocks with a passion) it can be beat. There's slightly lighter, more flexible, and even lower heel to toe difference shoes out there like above mentioned Piranha. However if you're transitioning to training in flats, or looking for one of your first pairs, this could be just what you're looking for. Can you give me your thoughts on the Asics Hyperspeed vs. the Adidas Rocket? They seem to be very similar shoes. Is one any wider in the toe box than another? 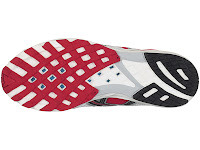 1) I like the feel of running with no socks, and the way the Rocket's bent they could cause some irritation on the top of my toes that I didn't have with other shoes. 2) I felt like the Hypderspeeds gave me more feeling on the roads, and they felt great barefoot. That's why I ended up going through 2 pairs of them (and planned on more) before I ended up trying the Piranhas (I'm on my third pair of those). 3) The good road feeling of the hyperspeeds might be due to the soft & minimal sole of the shoe, which is also a downside when it comes to little rocks. They definitely spiked me in the bottom of the foot a few times and they love to get stuck in that pattern beneath the shoe. So overall they are both fast, light flats. The rocket's felt a little more protective & rubberized with a little foot initiation from seams/bending (your situation could be completely different) and the Hyperspeeds felt a little more natural but with the rock downside. My overall advice would be to order BOTH pairs from www.runningwarehouse.com (I don't get paid by them in anyway) and try them on. You get free shipping to you, and a free shipping return label, AND great prices, so there's really no reason not to try them both. Even if you don't like either one it will cost you nothing (and if you live in CA like me you even get free 1-day shipping, crazy fast). Mike i am also between the Adidas Rocket and the Asics Hyperspeed. Now i have the Kinvara and the Inov-8 F-Lite 230. I prefer the F-Lite because it has firmer cushioning and no arch support. The Kinvara is too soft and you certainly feel there is something under your arch. The F-Lite is also more flexible. You can bend it easier. Between the Rocket and the Hyperspeed which one you think is more like the F-Lite 230? Thanks! Mike - great review. I just ran in mine for the first time (8 on asphalt) and they bore out everything you said. I bought into all the support/cushioning hype back in the early 2000's when forced to switch from Adidas Shimantos. Now trying to return to a more minimalist shoe and this one seems to be the ticket. As you say, possibly a transition shoe. 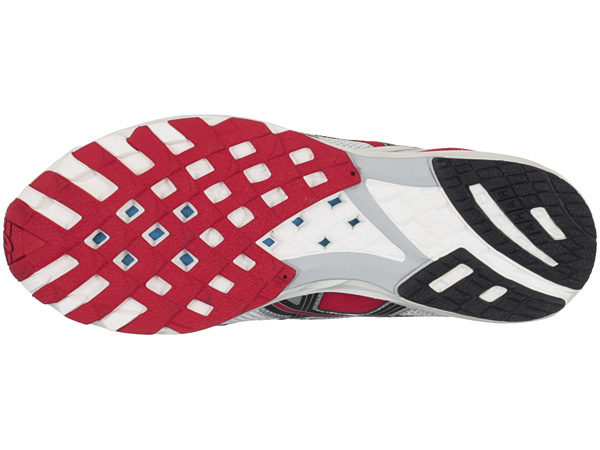 The grid provides more cushion and less weight than a solid forefoot. But yeah, I hate picking up rocks, and in rain or in winter slush, the damp soaks right through the sole.